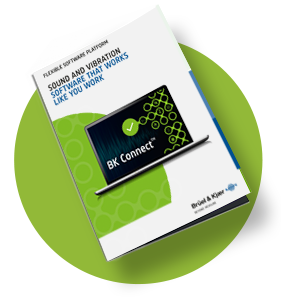 The new BK Connect sound and vibration software is designed around user workflows and tasks. Full of innovative features and functions, this user-friendly platform reduces overall testing complexity. It helps you work smarter and with a high degree of flexibility, while reducing the risk of errors. Sound and vibration professionals often use a one-size-fits-all solution. With BK Connect, we centred on developing a solution that could be easily configured, allowing users to focus on the task at hand. Configurable user workflows for maximum efficiency. BK Connect’s flexible setup means it can be configured to meet your needs and the way you work, enabling you to streamline the testing and analysis process. BK Connect’s simple and intuitive user interface makes it easy to navigate between tasks. This makes the platform easy to use and learn, and results in fewer clicks and less time spent completing tasks. 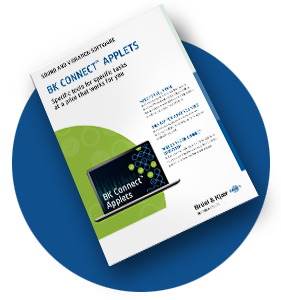 BK Connect eliminates tedious and error-prone data transfers between multiple systems, because it integrates the functions and analysis you need in the same system. BK Connect is compatible with data from leading sound and vibration measurement and analysis systems. It also provides an open programming API that supports third-party applications and integration with test bench control systems. BK Connect’s exceptional data management gives you more data insights so that you can make confident decisions. You can rely on data to be accurate, ordered and well-documented, while benefitting from fully documented metadata.